Here is another unsolicited review. 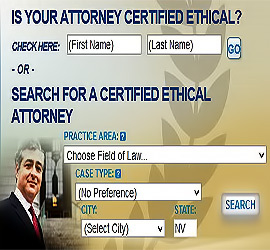 This is of the DeLuca & Associates law firm in Las Vegas, NV. They specialize in Bankruptcy. Message : I used DeLuca & Associates for my bankruptcy. What a huge mistake. They don’t have the clients best interests at heart, don’t give clients all the information they need and only do the minimum required of them. I couldn’t recommend them if they were the only firm available.